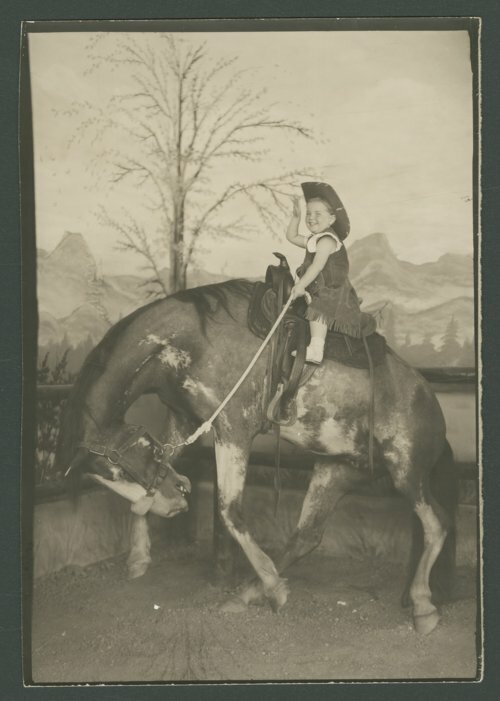 This is a photograph showing Patricia Michaelis wearing a cowgirl outfit and posed on a stuffed horse. The photograph was taken in a photo gallery in Manitou Springs, Colorado. For several summers, her family vacationed in Green Mountain Falls,Colorado.